Wireless lamp - Portable, wireless and rechargeable by Bloom! Wireless lamp - Portable, wireless and rechargeable - Bloom! 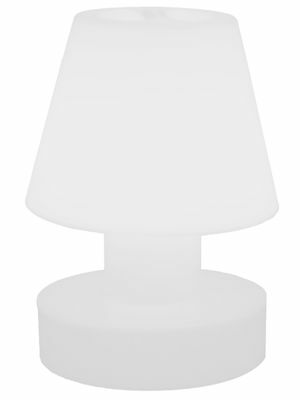 Bloom lamp, a true best-seller, comes back in a smaller version, even much easier to be moved. This mobile lamp – wireless, lightweight and equipped with a handle – can be transported as you like! One it has been fully charged, it will provide soft and sensual light for about 7 hours (charger and battery included). You can put it wherever you wish without being worried about the electrical connection. Thanks to a new clip system, the battery is even easier to charge and change! 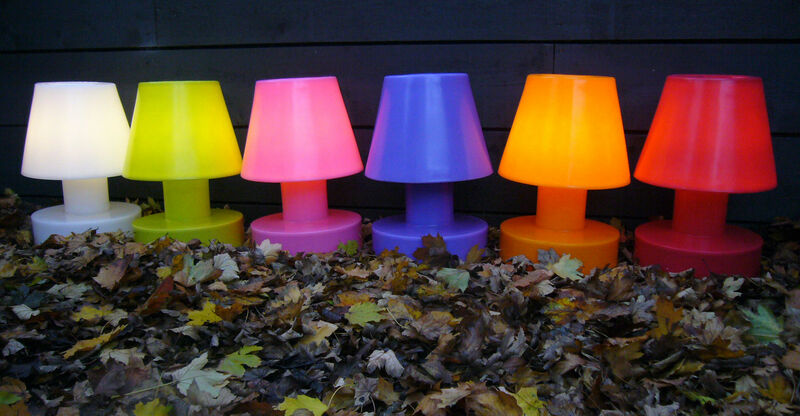 Bloom lamp will be lovely in dark corners of gardens or terraces or in a living or children’s room. You can put it directly on the ground – when put in on grass, it will create a contemporary atmosphere during a garden party! Or on a table during a dinner, it will provide your guests with dim, cosy light. Lovely ultra fun look, small size (H 28 x Ø 19 cm) and wide colour range... This lamp is also available in 40 or 56 cm height. Please note: in order to extend the battery life, we recommend charging it regularly.